We make special fasteners, which generally tend to be larger silicon bronze bolts which are not available as standard parts, usually because they are larger than the standard, bolts, coach screws etc. The bolts shown in the view above are designed to hold a windlass in position, with a domed profile above deck, made in silicon bronze with phospher bronze washers. 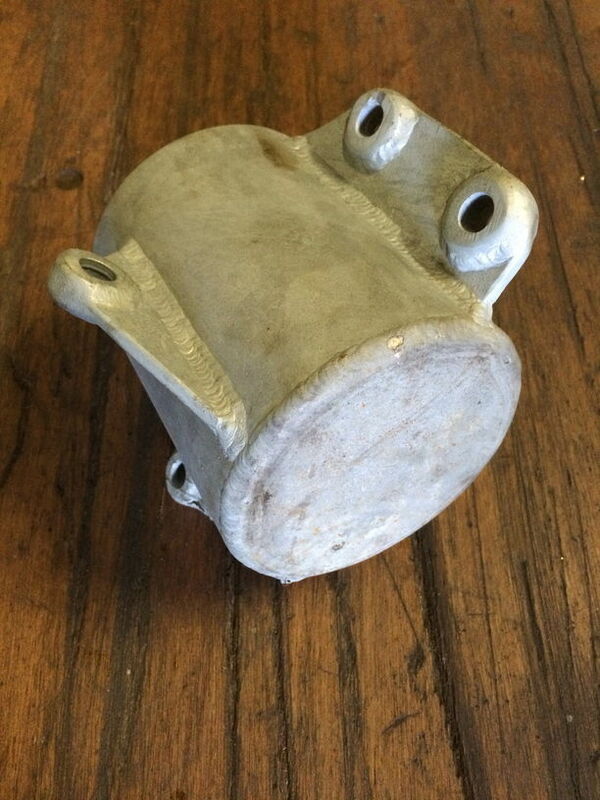 We can make special bolts either using an old part as a pattern, or discussing the requirements etc. Made from 316 stainless steel, with a removable lid to facilitate access during maintenance. The lower nozzles are for engine water inlet and outlet connections, with the side connection to a 'tell tale', which provides visible confirmation that cooling water is circulating correctly when an engine is running. These units can be manufactured in any size, with hose connections to suit any application, included threaded connections. The lid clamps down against an o seal which is housed within a groove at the top face of the chamber. This provides a reliable sealing interface whilst allowing easy access for cleaning the chamber. To offer an indication of cost, prices start at around £450 for a smaller unit, for example with 1/2" connections. Please email or call to discuss your requirements. 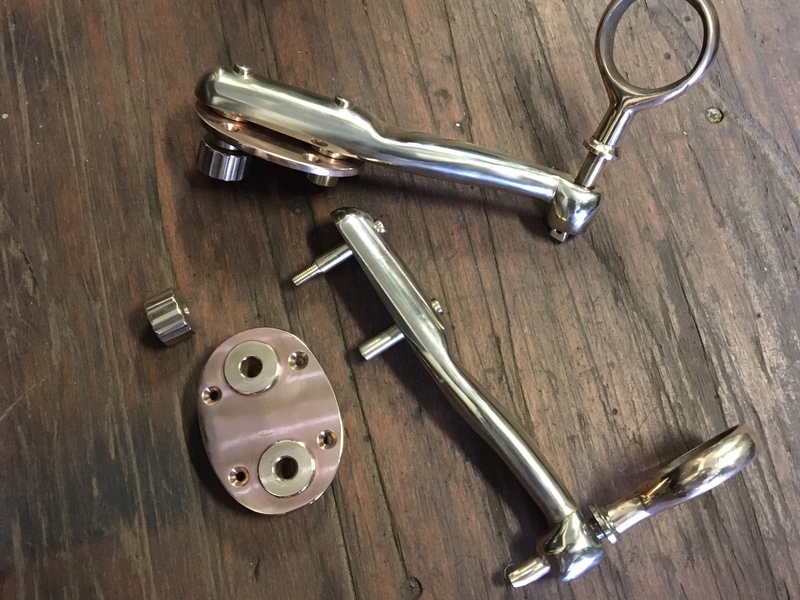 We don't have a standard design for rowlock assemblies, the example above was designed for Stirling & Son in Plymouth, then made at our workshop. 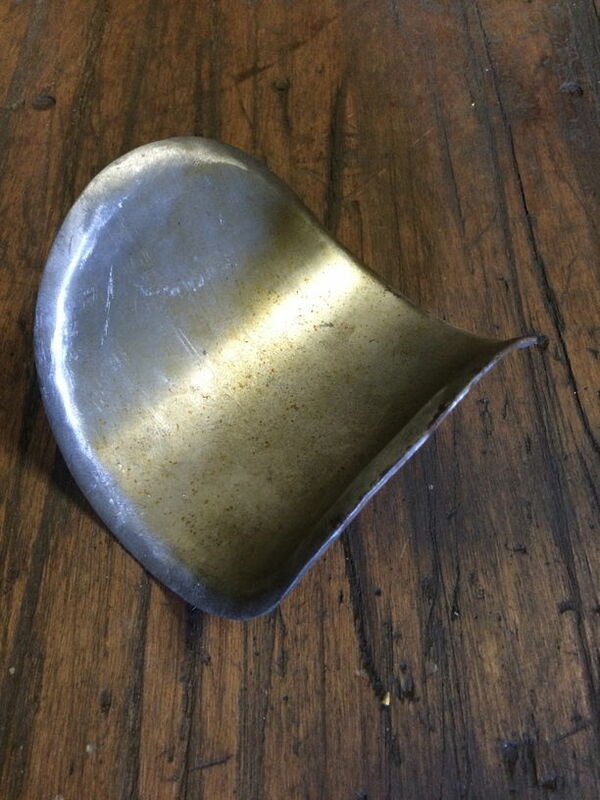 The elliptical plate is screwed to the deck or gunwale, and the arms can be attached or detached as required. Gypsies are available in iron or bronze cast material, sized to accommodate all relevant standard chain sizes between 8 mm and 14 mm. Larger gypsies are available also but on slighty increased lead times. 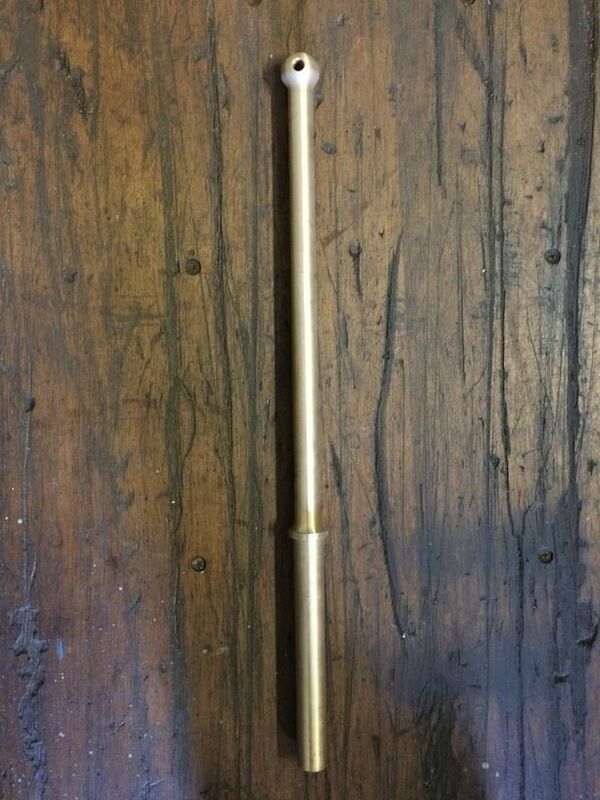 We can also bore the centre to fit the required shaft profile if necessary. 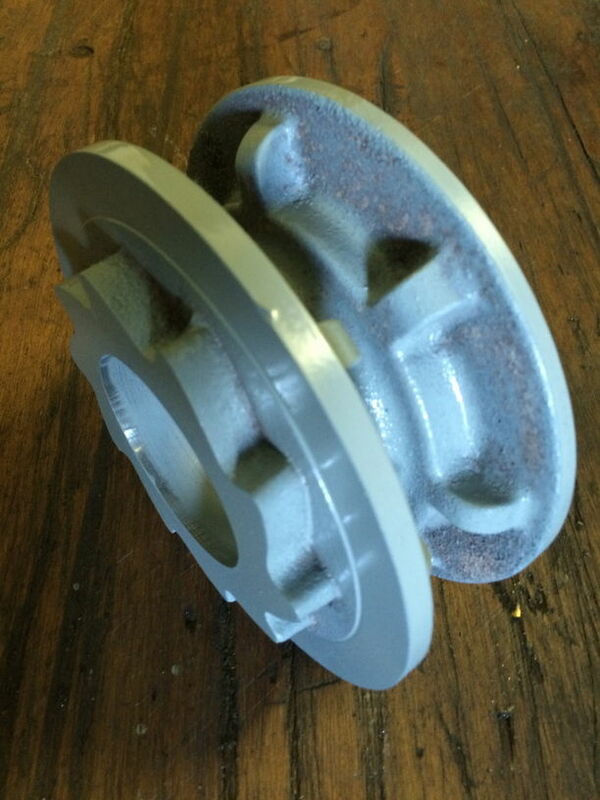 We offer two standard sizes of capstan. The larger capstan is 220 mm in diameter and 145 mm high. The smaller capstan is 155 mm diameter nad 120 mm high. 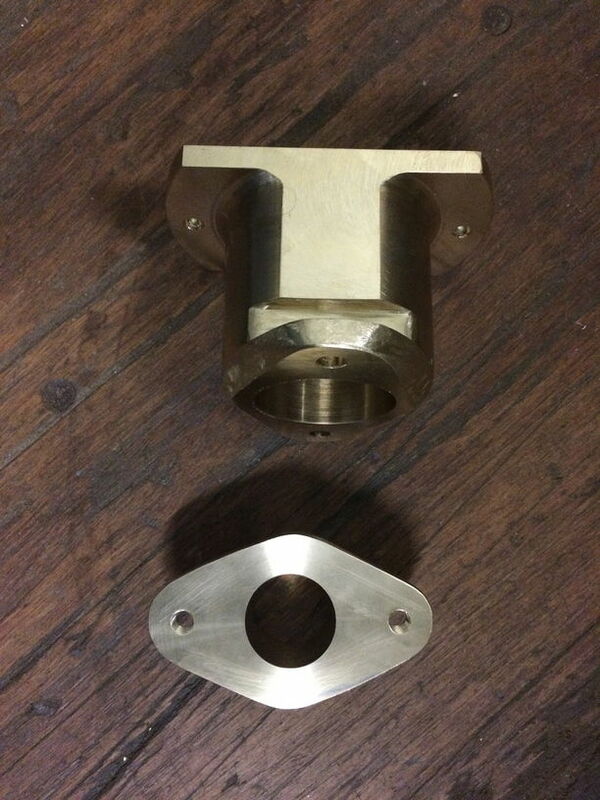 Special stern tube fitting, made to our own design for a specific application, to be mounted externally and host a Spurs cutter. The image above shows a stantion, made in bronze. This design is inserted through the capping rail and down to the deck where it engages into a deck mounted location point inside the bulwark planking. We can make similar stantions to accommodate multiple wires, in bronze, stainless steel or galvanized steel and they can be designed to clients' requirements. 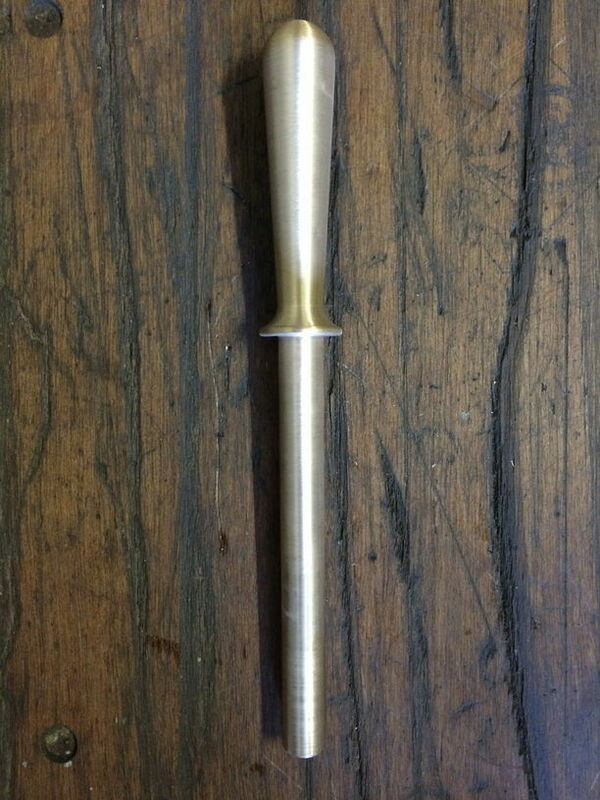 Belay pins can be made in iron, bronze, oak or any suitable material. All shapes and sizes can be made and also special styles and materials specified by the customer. These and a complete range of standard and bespoke fittings can be provided. With some fittings, such as the boom end fitting, it is a case of specifying the boom diameter and we can make and supply the fitting, however the most efficient method is to contact us with your requirements and we can provide a detailed quotation. We can also complete leatherwork (in-house) and, for example, supply a finished gaff throat end fitting with stitched leather covered saddle. The leather we use is 4 mm thick veg dye pig hide. 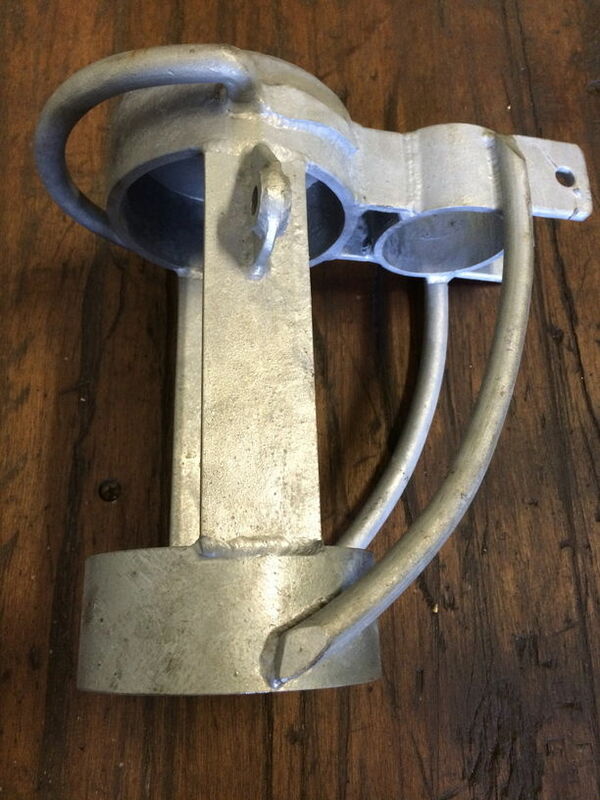 We also have spray painting facilities, so that galvanized fittings can be supplied with a paint finish.